When I think about plaid the first thing that comes to mind is the movie Clueless. I don't think I've ever seen that many plaid outfits in one movie, it's a plaid takeover! Especially Cher's bright yellow plaid school outfit makes a lasting impression. When I saw that my new little stamping plate had the same pattern I needed to recreate it. 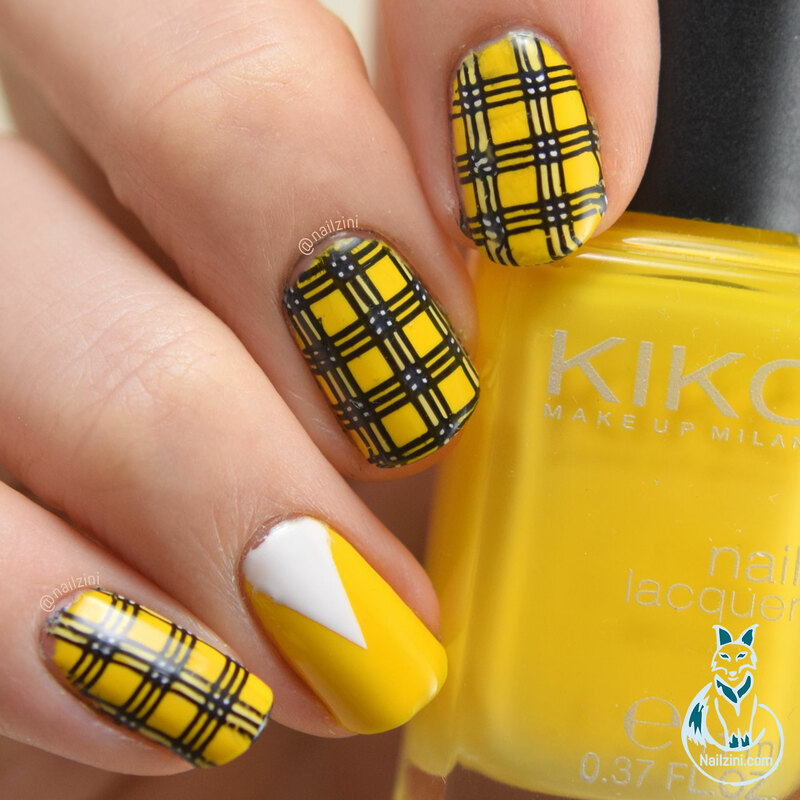 The base is three coat of "279 Yellow" by Kiko Milano. 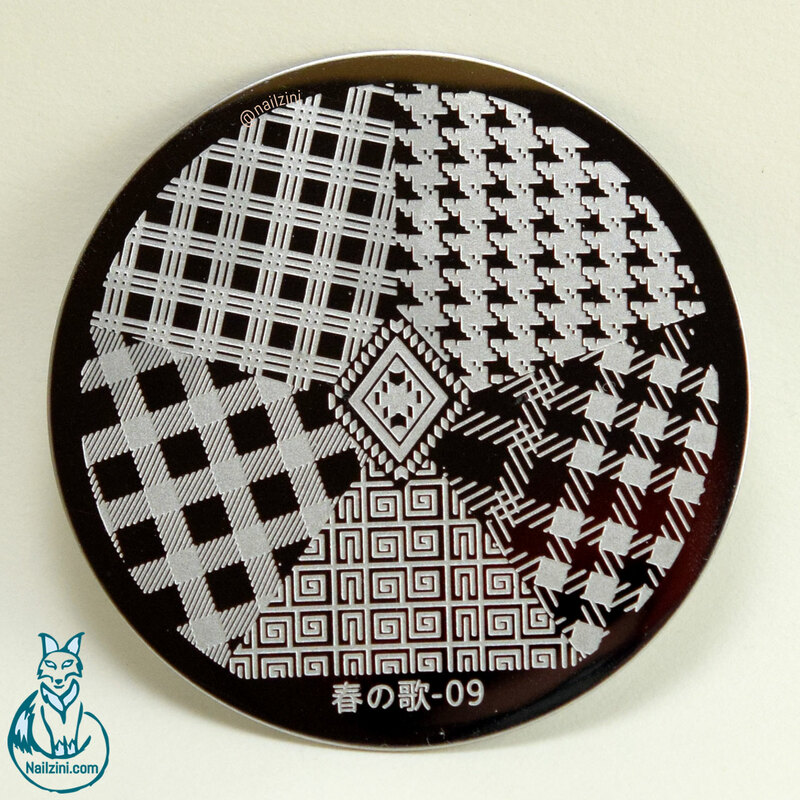 For the design I reverse stamped the plaid pattern using this Round Checked Design Image Plate (ID=29549) from Bornprettystore. It has 5 different plaid patterns and one big accent design in the middle. Since the plate's diameter is only around 5.5cm I wasn't too sure I was going to like it at first because I was worried it might be a bit too small. 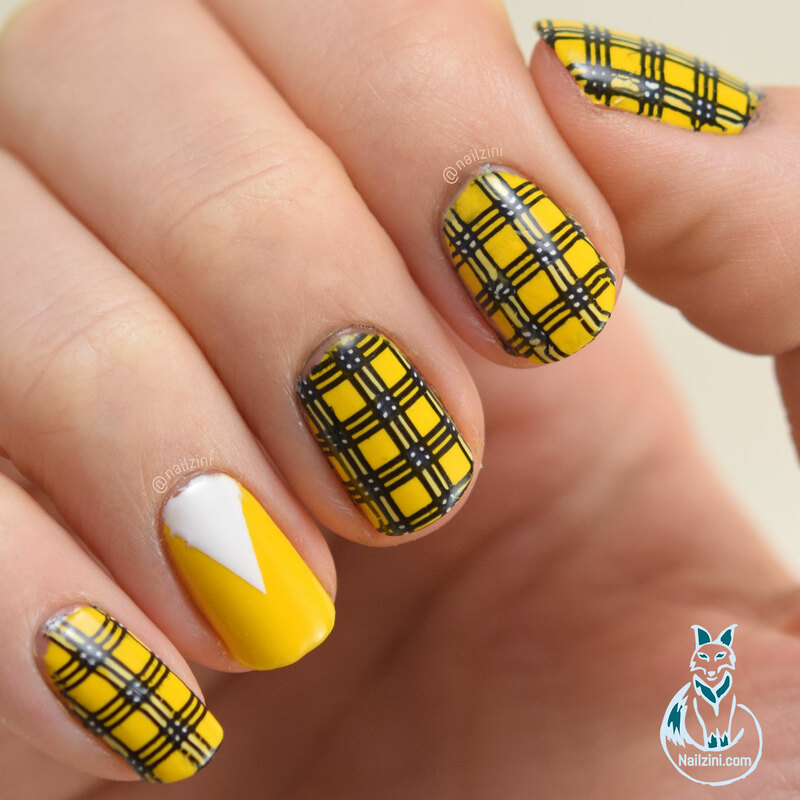 The pattern are all triangle shaped so if you have long and/or wide nails it might be too small on top. 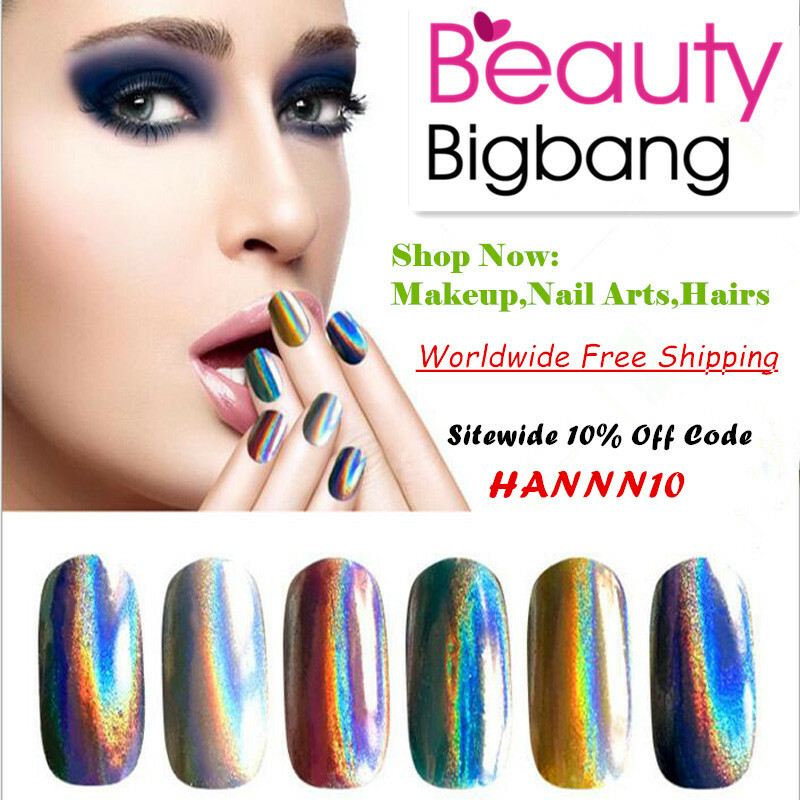 I have pretty thin nails and even on my thumb the design was big enough for full coverage. As with every other plate I have from Bornprettystore stamping is an absolute delight. No matter what polish I use the design always gets picked up flawlessly! I used my Silicone Jelly Stamper (ID=26498) to pick up the black design from the plate. The black polish is my favorite one-coat black, "Neo-Noir" by H&M. Then I used "Blanc" by Essie and a tiny doting tool to fill in the little squares on the patters. 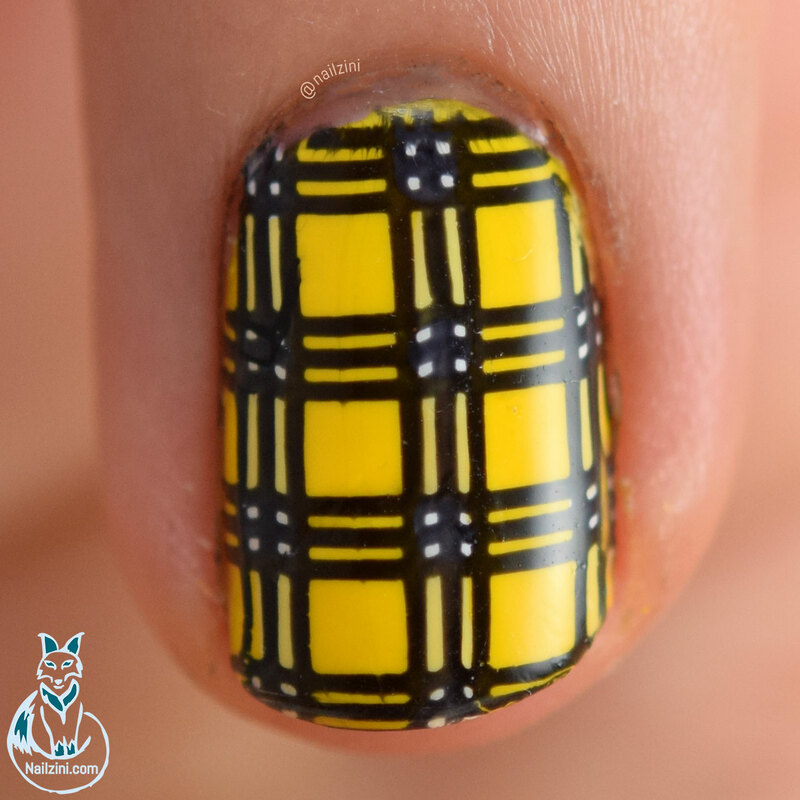 Using a lighter yellow polish, 810 by Hema, and a thin striping brush I filled in the vertical lines that connect the white squares. Try to use just enough polish to cover the spaces, but not too much or the excess polish will smoosh the design when stamping like on my index finger. Then just stamp the pattern on your nail, making sure the colored lines are the vertical ones. After waiting for it to dry apply a top coat. For the accent nail I used some scotch tape to create the triangle and then applied "Blanc" by Essie. While the polish is still wet remove the scotch tape and clean up the edges with a brush dipped in nail polish remover if needed. When the white polish is dry apply a top coat and that's it! You can watch the tutorial below to see all the steps.